Offering you a complete choice of products which include all geared vertical milling machine, all geared universal milling machine, universal milling machine and vertical turret milling machine. Keeping in mind the diverse requirements of the clients, we offer an extensive range of All Geared Vertical Milling Machine that is acclaimed among the clients for optimum quality and durable standards. They are functionally advanced in nature and are used in different heavy duty applications. 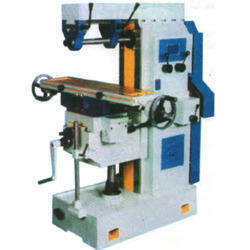 All Geared Vertical Milling Machine are available in different technical grades and are quality approved in nature. We offer wide range of All Geared Universal Milling Machine that is appreciated among the clients for easy installation and seamless performance. Our entire product range has high tensile strength and is delivered in varied calibrations. Our entire product range is delivered in well-defined time frame thereby catering diverse requirements of the clients. 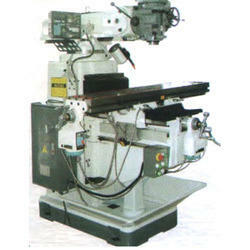 We offer wide range of Universal Milling Machine. 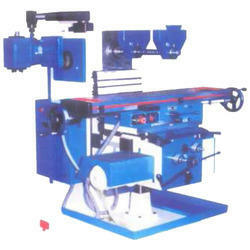 Machine is Suitable for Mass Production Purpose. 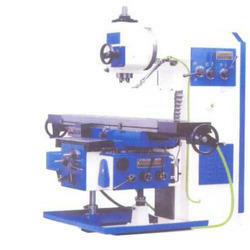 Auto Feed is provided in both directions for Longitudinal movement of table Vertical & Cross Movement are hand operated. These are available in various size and shapes. Size Of T-Slots IA" A" 1/2" A" I/2"
Standard Arbour 1" 1" 1" 1" 1"
Note:"For Detailed Specification Information Refer To PDF"